By Seth MacFarlane. 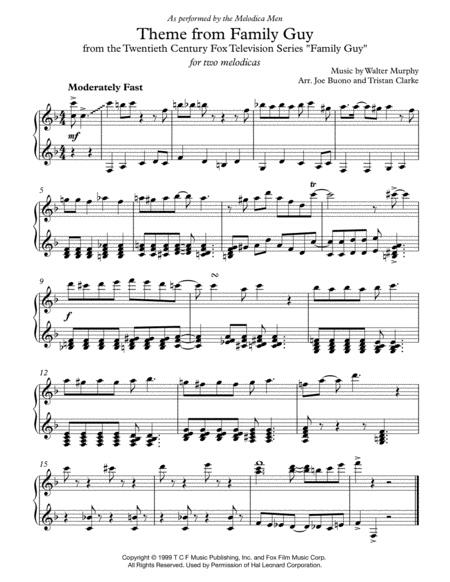 Arranged by Joe Buono, Tristan Clarke. 1 pages. Published by Joe Buono (H0.188059-91419). 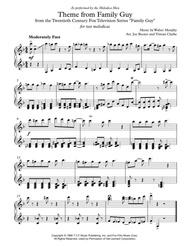 The official Melodica Men arrangement of the main theme from the TV show "Family Guy." It's fun!